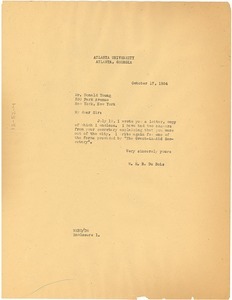 Atlanta (Ga.) - Addressed to Donald Young; alerting him to the three copies of "Black Folk: Then and Now" on their way for consideration for the John Anisfield Award. 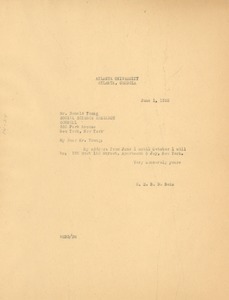 Atlanta (Ga.) - Signed by Secretary to W. E. B. 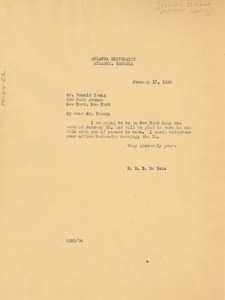 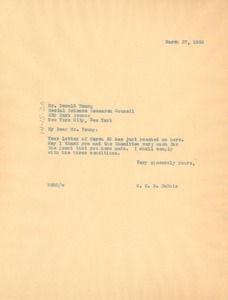 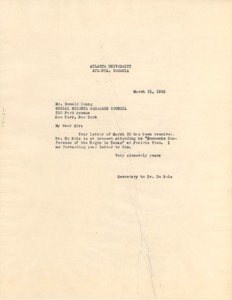 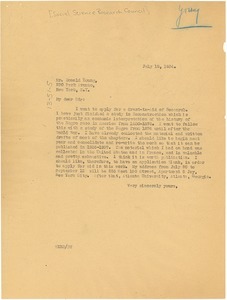 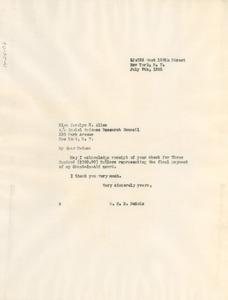 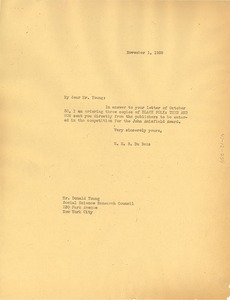 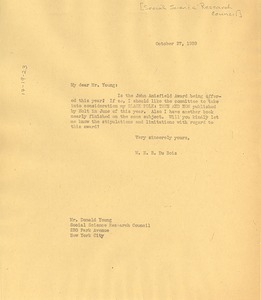 Du Bois; addressed to Donald Young; confirming receipt of his letter of March 20, and relaying that it has been duly forwarded. 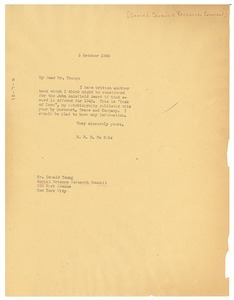 Atlanta (Ga.) - Addressed to Donald Young; requesting an appointment with him during his upcoming visit to New York City.